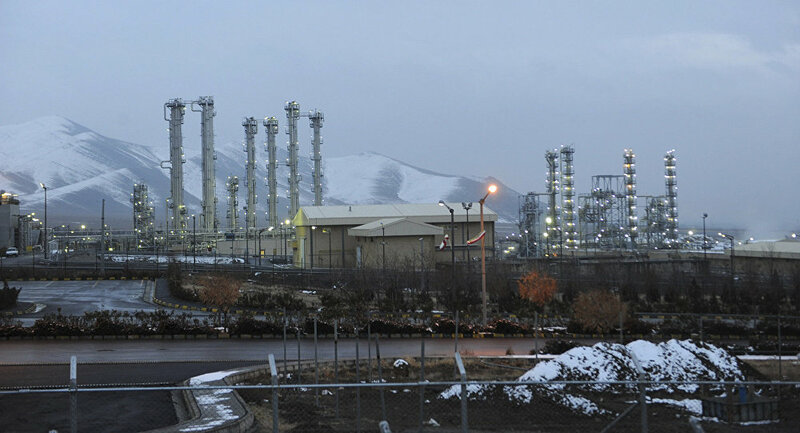 MOSCOW (Sputnik) - Iran will begin operating a facility to build centrifuges at Natanz's uranium enrichment center within a month, Ali Akbar Salehi, Iran's vice president and head of the Atomic Energy Organization of Iran (AEOI), said. "There is a huge facility for parallel and full control over about 60 centrifuges in Natanz, which will begin to work within several weeks," Iran's vice president and head of the Atomic Energy Organization of Iran (AEOI) Ali Akbar Salehi said in the interview with the IRIB broadcaster. The official emphasized that Iran would build a new facility to produce centrifuges, including the most advanced IR-8, which have been tested since the beginning of 2017. Salehi noted that with the launch of the facility in Natanz, Iran would be able to increase the level of the uranium enrichment to 190,000 SWU (separative work unit), which does not violate the Joint Comprehensive Plan of Action on Iran's nuclear program (JCPOA). The news comes after Iranian Supreme Leader Ayatollah Ali Khamenei ordered the AEOI on June 4 to start working on uranium enrichment at the level of 190,000 SWU if the JCPOA agreement failed. Washington has slammed the move, with US Secretary of State saying that it was not "appropriate for Iran to have the capacity to create fissile material, to enrich uranium or have a plutonium factory." Mike Pompeo stated that the US has 12 demands for any new deal with Iran, threatening to impose "the strongest sanctions in history" on Tehran if it refuses to change its policies. However, French officials noted that this decision "remains fully within the bounds of the Vienna agreement as well as within the framework of the agreement." After US President Donald Trump announced that the United States would be pulling out from the JCPOA and decided to restore wide-ranging sanctions on Ira, the leaders of France, Germany and the UK have expressed their regret over Trump's decision, stressing their countries' commitment to the JCPOA.